Get rid of writing complex database queries, just use Database Converter software! 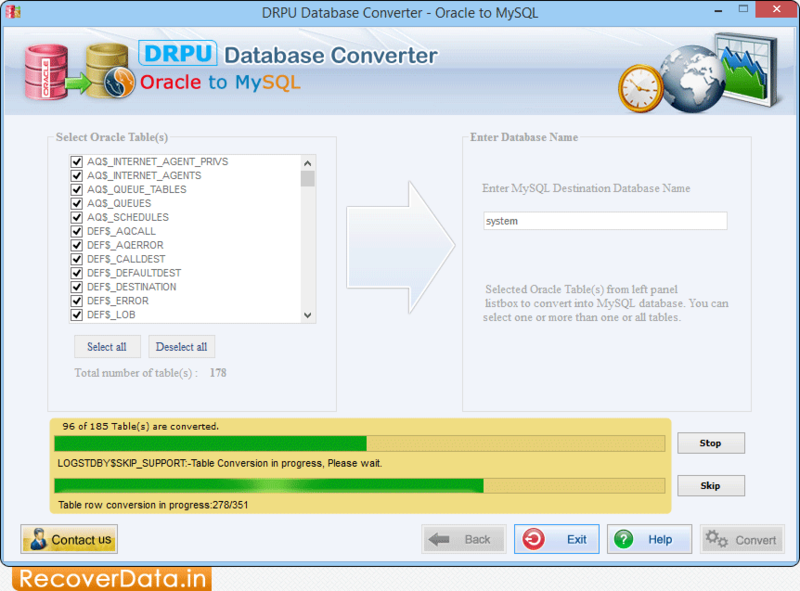 Oracle to MySQL Database Converter program is developed for database administrator, programmers and software developers who want to convert oracle database records into MySQL. Database Migration program migrates selected or whole database records of Oracle into MySQL database format. Oracle to MySQL Migration tool supports entire key constraints, data types and attributes of Oracle database and automatically converts database files without making changes in source data base files. Convert Oracle database into MySQL database records. Supports entire data types and attributes of Oracle database records. Save converted Oracle database records at user defined location on PC. Supports all major versions of Oracle RDBMS database.